Ascension plans to buy Ardent Health Services' interest in a hurricane-damaged Panama City, Fla., medical center the two health systems currently operate through a joint venture. Ardent and Ascension Sacred Heart Health System announced Tuesday they have signed a letter of intent for Ascension to acquire 323-bed Bay Medical Sacred Heart from Ardent, including its physician clinic operations in Panama City and Bay County, Fla. The hospital sustained significant damage from Hurricane Michael in October and will need to rebuild some areas to resume inpatient care. The hospital, which evacuated patients Oct. 11, sustained roof, structural and water damage. A section of roof collapsed in its materials management building, which houses a significant amount of supplies needed to sustain long-term care, the hospital said in a news release. The hurricane also caused cooling and plumbing issues and a loss of information systems. The emergency room is still open. Even before the hurricane, the hospital was not performing well financially. Its operating loss exceeded $10 million last year, up from a $3 million operating loss in 2016, according to Modern Healthcare Metrics. Representatives with St. Louis-based Ascension and Nashville-based Ardent declined to elaborate on their decision to make Ascension the hospital's sole owner, a move that still needs regulatory approval, but executives said in a news release it was in the hospital's best interest. "It became evident that becoming a wholly owned not-for-profit subsidiary of Ascension Sacred Heart Health System will allow appropriate matching of services to the needs of the post-hurricane community," Ardent Americas Division President Matt Maxfield said in the release. "Additionally, it affords regionalization of certain services such as trauma and heart care." Bay Medical's patients were transferred to Ascension hospitals in Miramar Beach, Pensacola and Jacksonville, as well as Mobile, Ala. Emergency room patients who require hospitalization are being transferred to other Ascension hospitals. "Going forward, we believe that Bay Medical will be best positioned to meet the evolving needs of the community as a full member of our Ascension Sacred Heart ministry," Tom VanOsdol, Ascension Florida's ministry market executive and a senior vice president with Ascension Healthcare, said in the release. "We look forward to the privilege of bringing the full strength, resources and clinical excellence of Ascension to bear in service to the families and individuals we are so blessed to serve in Panama City and Bay County." Neither Ardent nor Ascension would share information beyond the release, including the sale price, whether the deal was in direct response to the hurricane damage, how much the hurricane repair would cost and when inpatient services will be restored. It's also unclear what proportion of the hospital Ascension currently owns. Ascension is a not-for-profit health system, and Ardent's operations are owned by an affiliate of a private investment firm, a publicly traded real estate investment trust and members of the company's executive management team. 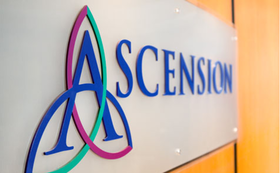 Ascension's Florida division includes Sacred Heart Health System hospitals in Pensacola, Miramar Beach and Port St. Joe, and St. Vincent's HealthCare in Jacksonville.